En español | "You have breast cancer." Almost 300,000 women will receive that devastating diagnosis this year alone. Equally frightening, however, is the dizzying array of medical decisions that follow, particularly choosing the right surgery. Up to 75 percent of women with breast cancer today opt for a lumpectomy, or breast-conserving surgery, when appropriate, since it's less disfiguring than a full mastectomy and has similar survival rates when combined with radiation. See also: The health screenings you need at 50-plus. But the risks may be greater than previously thought. A new British study shows that one in five women who underwent a lumpectomy needed more surgery, in many cases a full mastectomy, within three months. Reoperation typically occurs when doctors believe that the first surgery did not remove the cancer and enough of the surrounding tissue to prevent a recurrence. Many surgeons use the term margins, as in "We want to make sure there are clean margins." This refers to the distance between the diseased tissue and the healthy tissue that's removed along with the cancer. But there's an ongoing debate in the medical community about how big a margin is desirable and how that margin affects reoperation rates. One review of studies in the New England Journal of Medicine suggests that wider margins don't necessarily ensure that the cancer won't recur. Another eye-opening study in the Journal of the American Medical Association reported substantial differences in reoperation rates, depending on the surgeon and the hospital where the surgery was performed. If you or a woman you love is weighing a lumpectomy versus a mastectomy, you need to step into the doctor's office prepared for a conversation about the risks of operating again after a lumpectomy. (Bring this article with you.) A second surgery is emotionally, financially and physically stressful, and reoperation may delay important drug or radiation treatments. At the same time, a full mastectomy is not without its own risks. It's a more extensive surgery, has a longer recuperation time and is typically followed by more surgery to reconstruct the breast. It also holds a slight risk of recurrence in the soft tissues that remain after the breast is removed. Only you and your doctor, armed with all the available data, can make the right call. As in all serious health matters, I suggest you bring to your appointments a family member or close friend who can take notes and ask questions free of the emotional turmoil that comes with a cancer diagnosis. 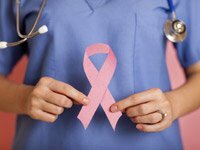 Nurse and breast-cancer advocates can also help and may be better able to challenge a treatment team, if necessary, on the risks and benefits of one surgery over another.